The LA Tourist | Read the Parking Signs! It’s not hard to drive in Los Angeles – just go with the flow of traffic and mind the stop lights. It’s actually more difficult to park in L.A. than it is to drive… and the number one driving tip for Los Angeles is to READ the parking signs! Major streets in Los Angeles become no parking zones during certain times of day, and Parking Enforcement is very strict. I live and work near tourist attractions, and I see cars being towed almost daily. 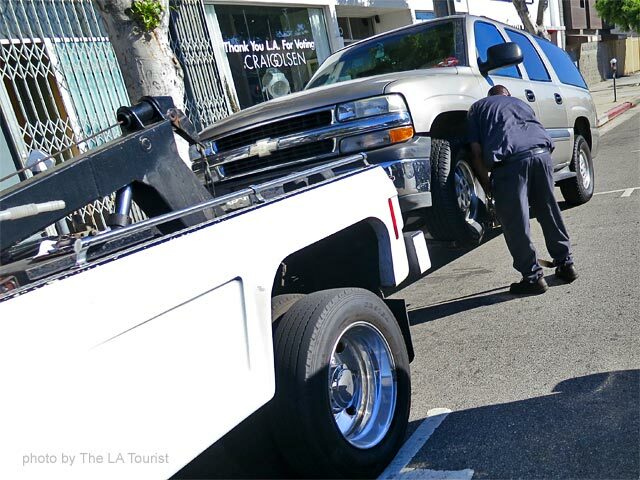 Having your car towed can ruin your vacation so read the parking signs! Other than that, keep your car doors locked, drive safe, and have a GREAT time in Los Angeles! Official Police Garages of L.A.